We had a bit late start this year as Dolphin Dance was launched on 26th of May. Initially the launch was booked already for Friday the 22nd, but just fifteen minutes before the time, I noticed that the sail drive was leaking oil. Apparently I had tightened the oil plug too much after the oil change and consequently damaged the threads. It was impossible to do a quick fix so the launch had to be postponed. We started the first trip of the season late on Thursday evening - after everything was packed. 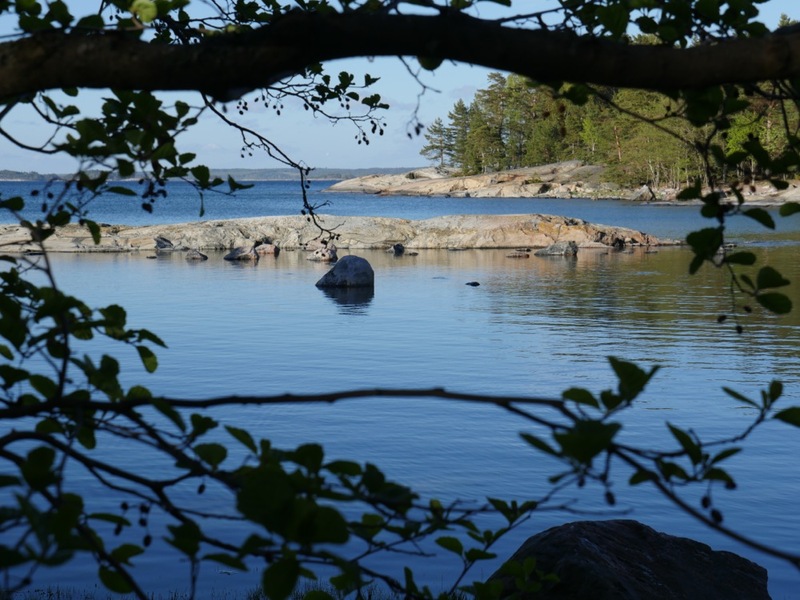 We spent the first night on nearby Vepsä island just about 7 miles from our wintering boatyard. On the following day we continued to Helsingholmen, which is perhaps our favourite island in the whole archipelago. 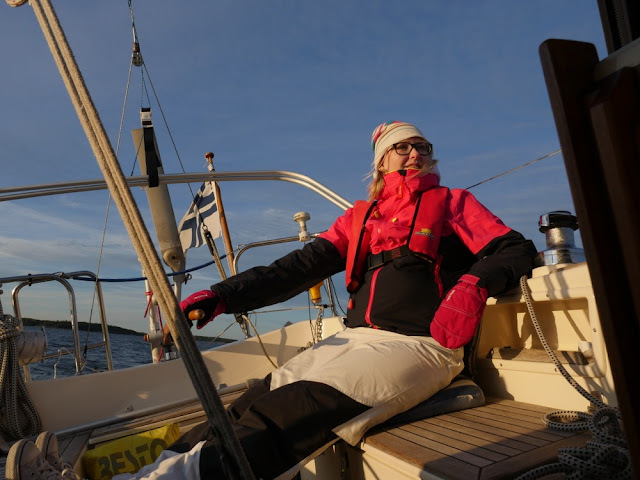 Having a sauna in Helsingholmen is almost a must (especially after a cold day at sea) and during the off-season, there is better chance to book the sauna time even if arriving late in the evening. 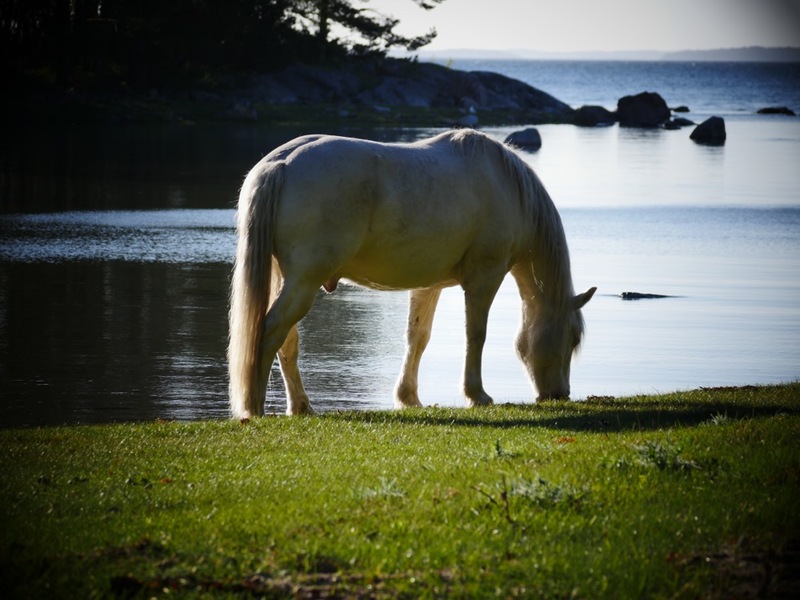 Reibas Skäriman, the beautiful white horse living on Helsingholmen island. 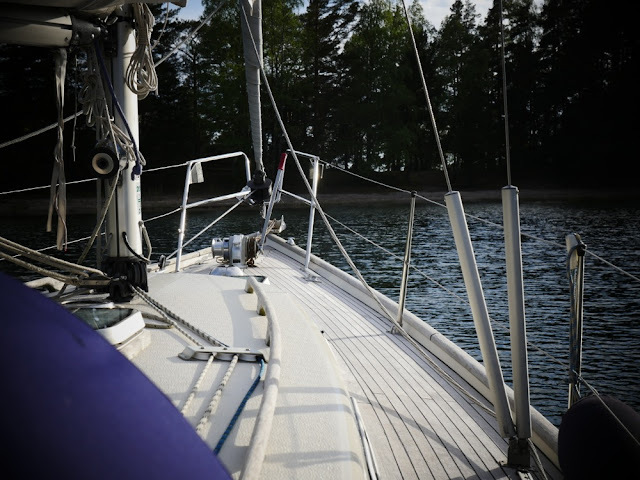 On Saturday we continued with a 35 nautical miles leg to Korppoo Verkan. We slept late and had a slow start, so we were in a bit of a hurry. Therefore, we hoisted the gennaker to give us some more speed. 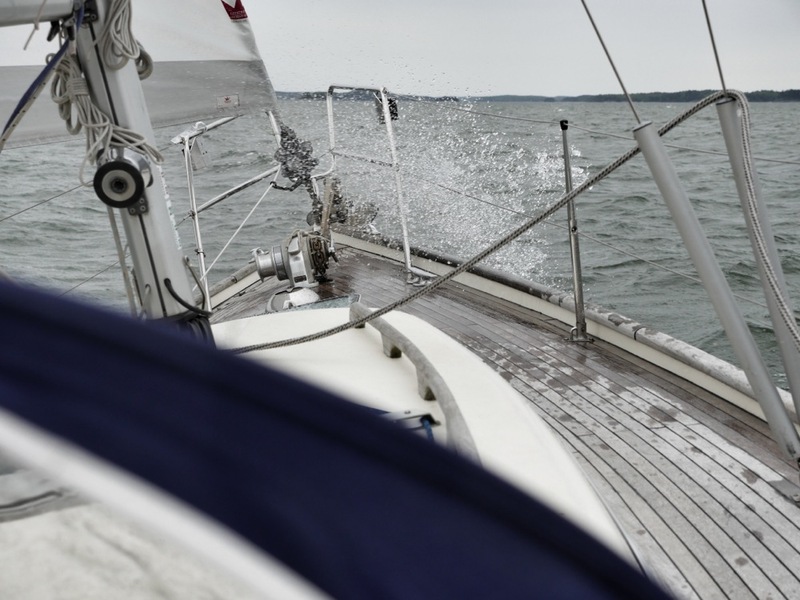 The wind increased during the day and was blowing around 10-12 m/s (20-24 kts) and this started to be a bit too much wind for sailing with the gennaker. 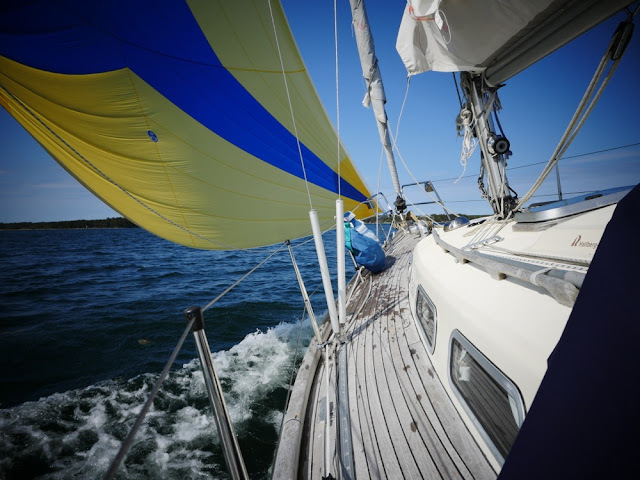 However, we were in the open part of the leg, so we decided to continue with the gennaker until we got some shelter from the islands to lower the downwind sail. During the gusts Dolphin Dance logged 7,8 kts which is probably her two-year record speed. On Sunday we continued to wild anchorage near Iso-Kuusinen island, which we had briefly visited a year ago. 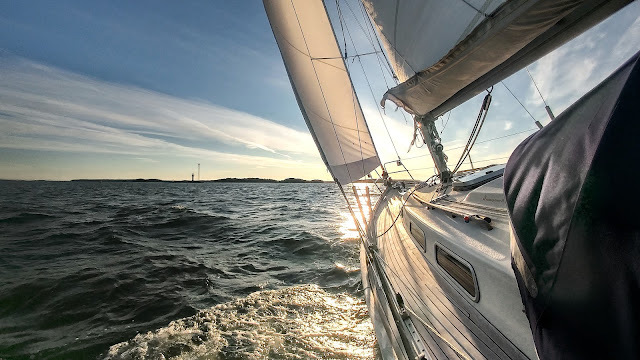 We noted then that the anchorage had good shelter in southerly winds and indeed, the night was totally calm despite the wind was blowing around 14 m/s (26-30 kts) through the night. On Monday, we had only 15 nm left to homeport, but we started early to get there before the rain and high winds. The stronger rain started right after we had arrived and 30 minutes later the highest gusts in a nearby station were close to 20 m/s (40 kts), so for once the timing was rather perfect. DD logged 96 nm during the long-weekend trip. 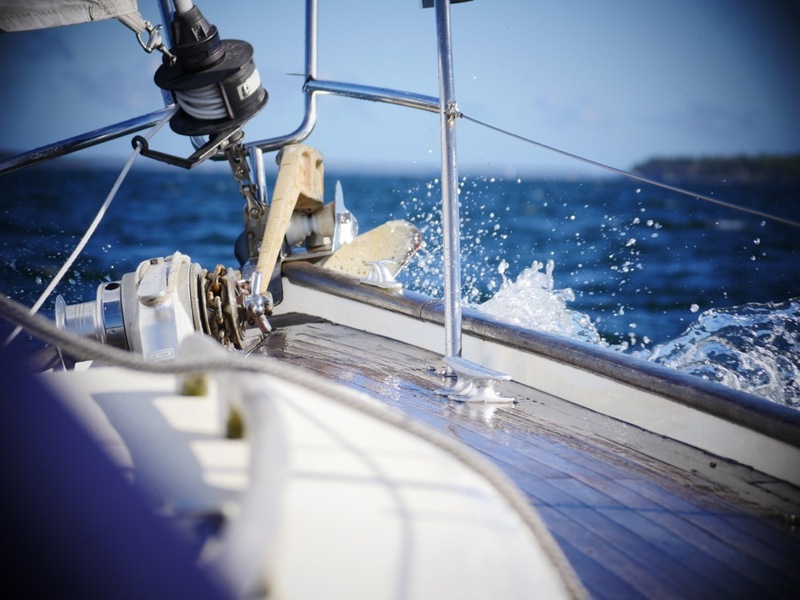 Congratulations for the first sailing on the season! You had so lovely photos again, specially the of the "fairytale-horse" Reibas Skäriman! You made smart choises according the weather. 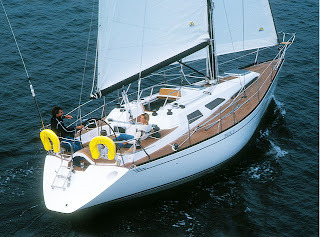 I believe that eventhough Dolphin Dance is not very fast (I can't believe we would go with our 125 m2 gennaker with our Kaminami on those conditions), it is stable and safe boat. That's more important when you sail offshore. Thanks for comment! Indeed, we were lucky with the wind and were able to sail most of the trip. You are right: Dolphin Dance is weighing close to six tons, so she is rather heavy boat to her size. Therefore, she is stable to sail in high winds and I have never broached or lost control even if having too much sail up sometimes.